NEW ARTIFICIAL INTELLIGENCE LAPTOP SLEEVES! ANNOUNCING NEW ARTIFICIAL INTELLIGENCE LAPTOP SLEEVES! Like all Think Tank Photo gear, the Artificial Intelligence™ laptop sleeves provide functional protection without excess bulk and clutter. A gusseted, zippered opening provides expandable storage for personal items and the rear document pocket securely holds files and papers. The business card slot keeps cards at the ready. 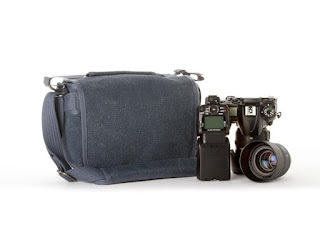 The removable shoulder strap provides flexibility when traveling. These cases can be incorporated into appropriately sized Think Tank Photo Airport Rollers and Backpacks for additional security. Removable, cushioned nonslip shoulder strap for all day comfort. Zippered and gusseted front pocket for full access to small item organizer. Business card slot for identification. Metal clips and D rings for long life. Highest quality YKK zippers and materials for long life. Stores inside Airport Rollers with appropriate Low Divider set, providing locked security with TSA locks. The Artificial Intelligence 13 V3.0 V3.0 is sized to hold most 13" laptops and 10-11"netbooks and accessories. External Dimensions: 9.4" W x 13" x 1.2" D (24 x 33 x 3cm); Weight: 0.7-0.9 lbs (0.3-0.4 kg). The Artificial Intelligence 15 V3.0 is sized to hold most 15.4" laptops and accessories. External Dimensions: 11" W x 15" x 1.4" D (28 x 38 x 3.6cm); Weight: 0.9-1.15 lbs (0.4-0.5 kg). The Artificial Intelligence 17 V3.0 holds most 17" laptops and accessories. External Dimensions: 11.4" W x 16.3 H x 1.4" D (29 x 41.5 x 3.6cm); Weight: 1-1.3 lbs (0.4-0.6 kg). DON'T FORGET OUR OTHER NEW PRODUCTS! The laptop sleeves are just three of the new products we've recently released. 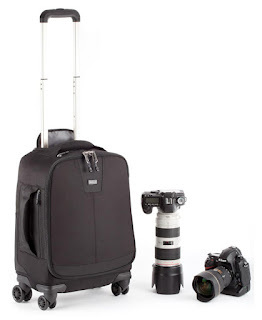 We just released our first four-wheeled rolling camera bag, the Airport 4-Sight™. 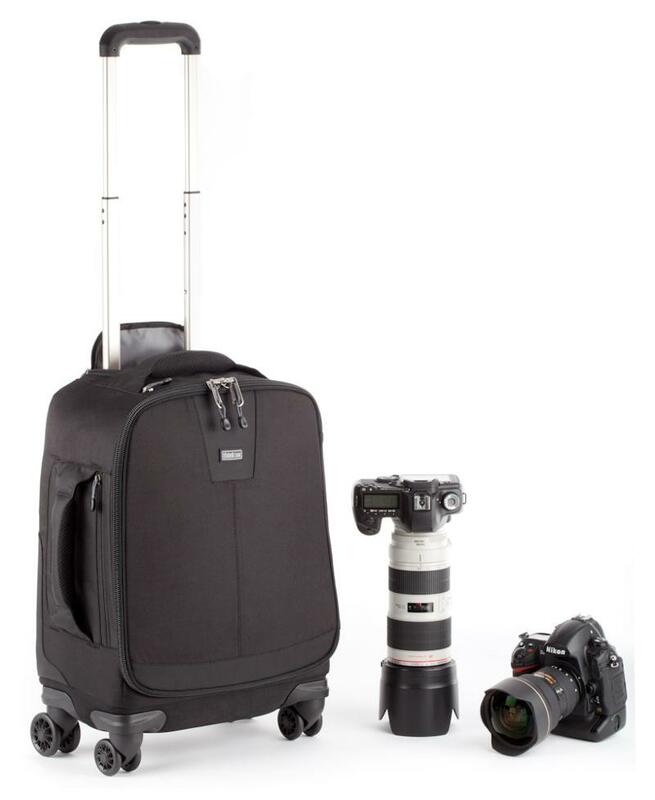 This high-capacity (Pro DSLRs and 4 to 5 lenses) roller meets international airline carry-on standards. The roller's weight has been reduced dramatically through innovative design. It has the added benefit of rolling sideways on two wheels to easily navigate tight spaces, such as airline aisles. The new Retrospective 7 shoulder camera bag is available in three color options. Designed for standard DSLR systems, its classic design along with modern improvements create the perfect shooter's bag. This lightweight shoulder bag comes in fabrics that offer a sense of "retro" style that appeals to many. 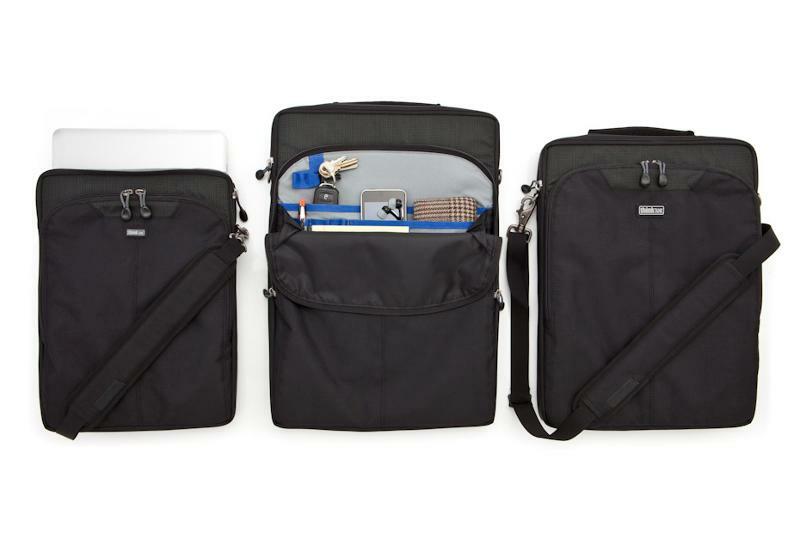 A rear pocket has been designed to hold an iPad or an 11" MacBook Air. Keep your most important photography storage device, your SD cards, secure and organized. 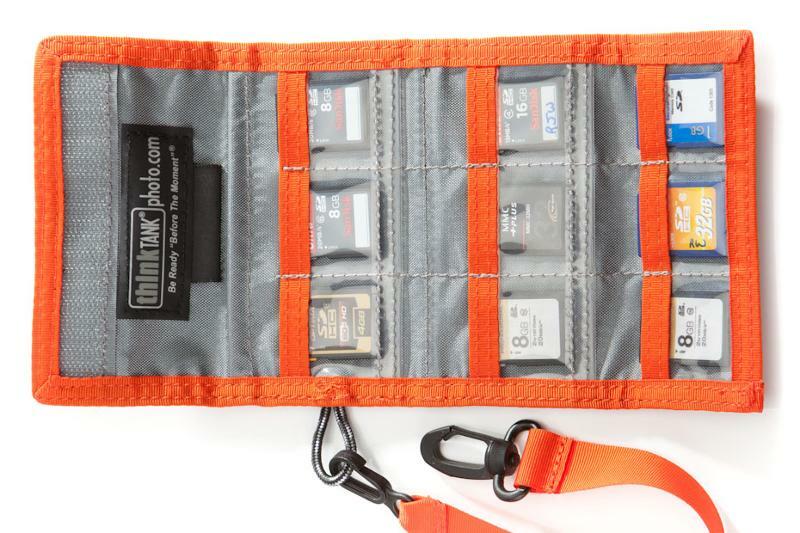 The SD Pixel Pocket Rocket keeps nine of those small but invaluable SD cards safely stored. The number one sin in photography is running out of power. 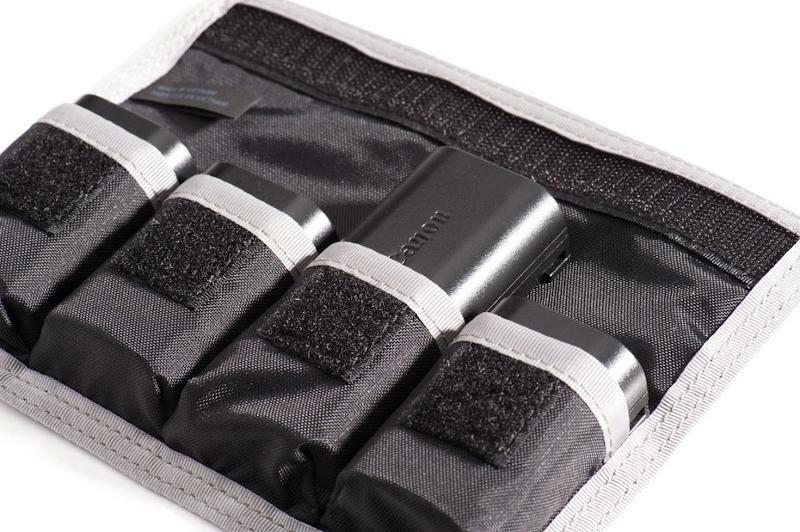 The DSLR Battery Holder 2 and the DSLR Battery Holder 4 secure two or four standard size camera batteries. 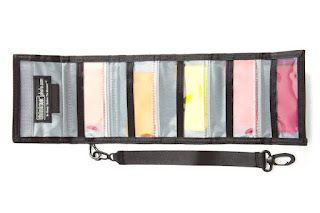 The Strobe Gel Wallet stores photography gels in a neat and organized manner and keeps them protected. The five pockets have a large capacity. 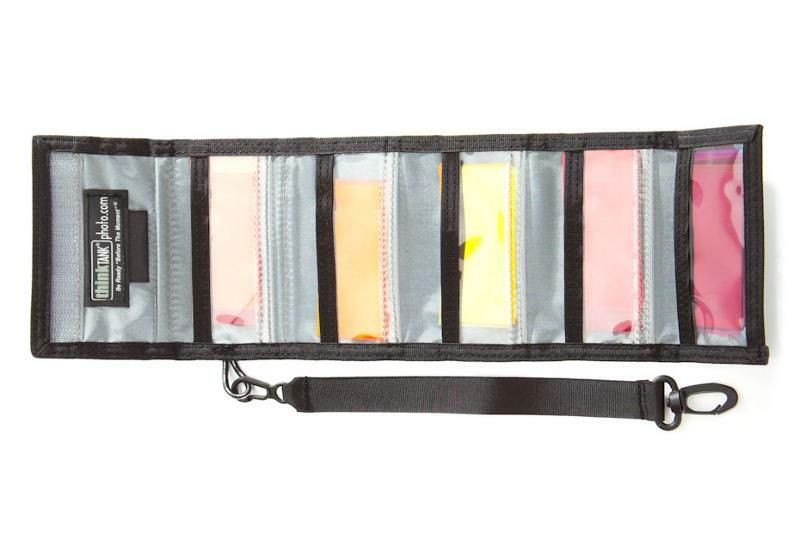 This enhances the ability to store and locate gels easily.